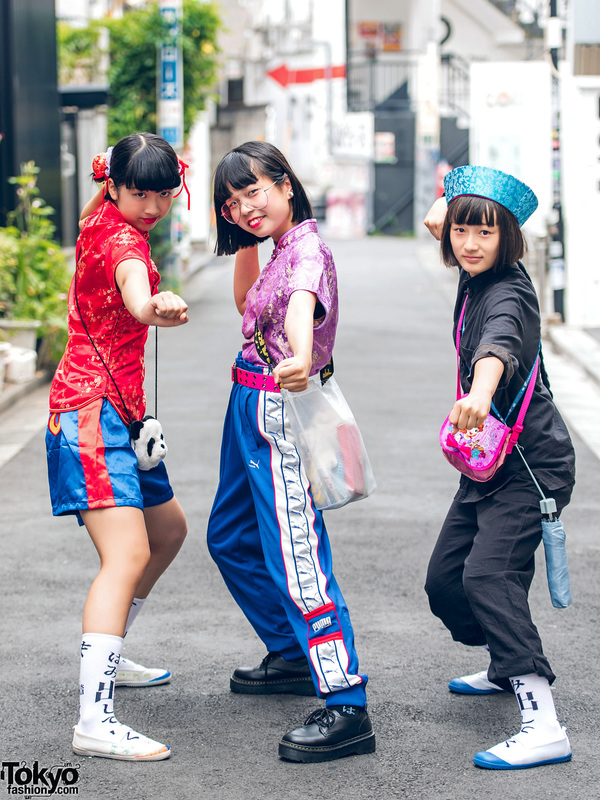 Harajuku girls and boys in different streetwear styles such as cropped top, denim shorts & lace up boots; cropped sweatshirt, printed pants & platform shoes; oversized shirt, printed pants & platform shoes; long sleeve shirt, black & white pants & black sneakers; and hoodie shirt, printed shorts & high top sneakers. 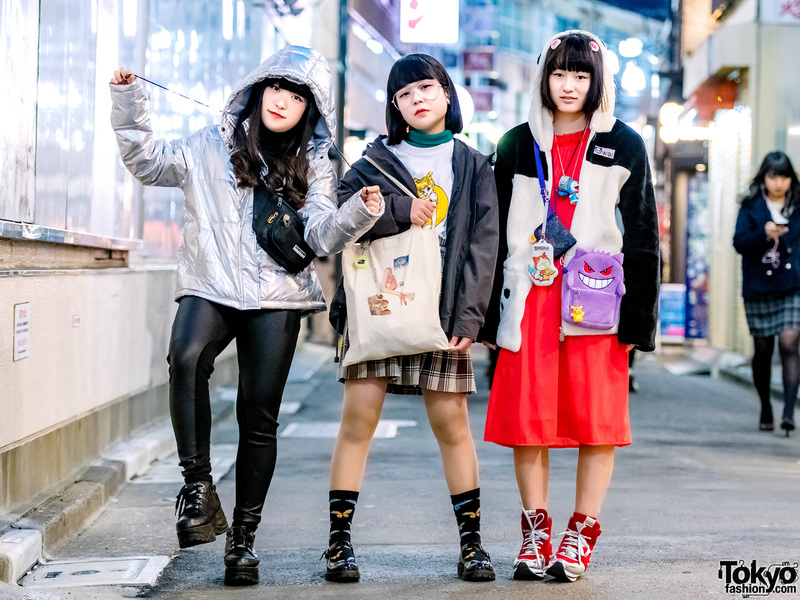 Harajuku girls in casual winter fashion with sweaters, plaid pants, jacket over shirt, pants with side stripes and sling bags. 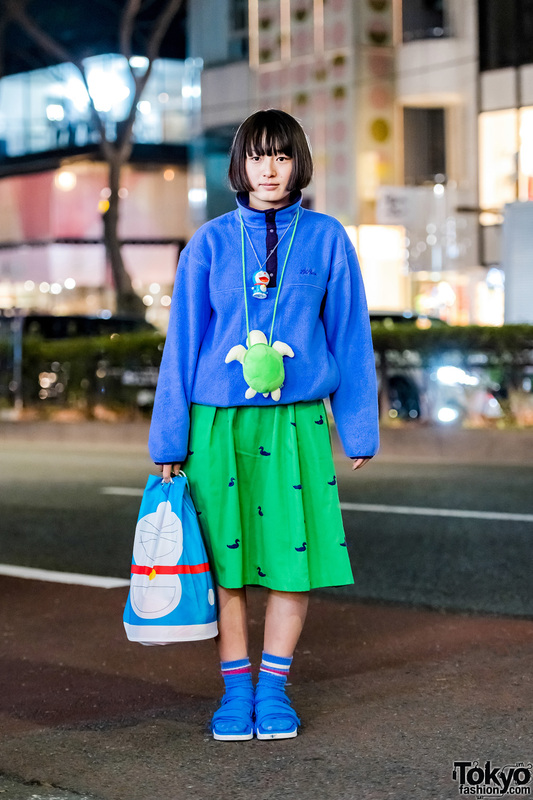 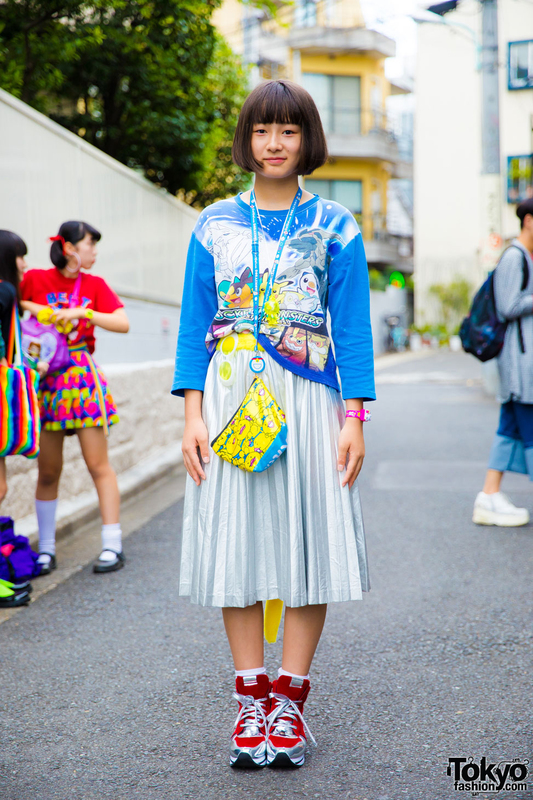 Harajuku student wearing a Pokemon sweatshirt, pleated midi skirt, platform sneakers and accessories such as neck wallet/purse, sunglasses, pink watch, and a fuzzy tail.